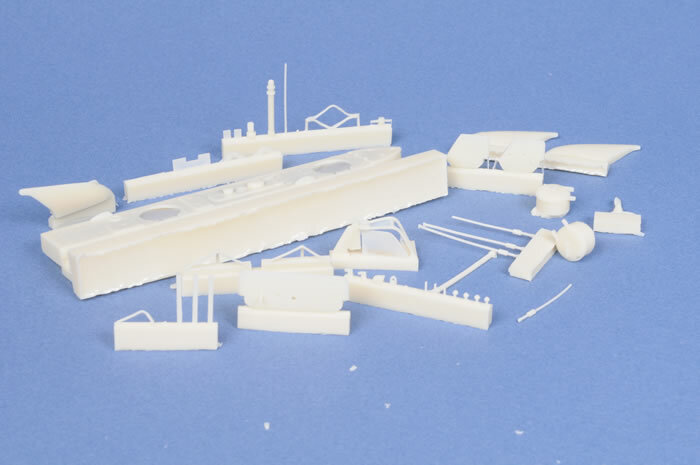 British X Craft, 51 cream coloured resin parts, 2 page A5 sized instruction sheet with parts plan, 7 build diagrams and 1 page of colour instructions all in a crush proof box. German “Molch”, 27 cream coloured resin parts, 2 clear vac-formed domes ( 1 spare), 2 page A5 sized instruction sheet with parts plan, 6 build diagrams and 1 page of colour instructions also in a crush proof box. Disadvantages: No history or decals; some warpage and flash; experience with resin required. 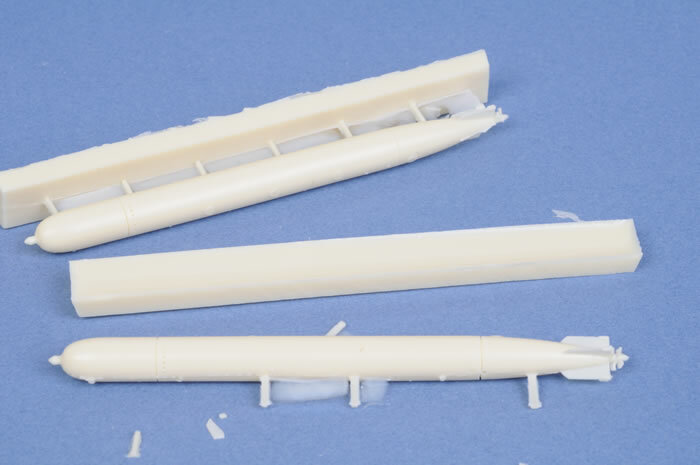 Conclusion: Lots of potential as standalone models or in dioramas, and an interesting comparison with Revell's and MPM's recent 1/72nd scale submarines. The British “X” Class Midget Submarines were designed and built in 1943/44 for a three or four man crew and only used once successfully in numbers against the German Battleship Tirpitz in a Norwegian Fjord. Five were towed to the Norwegian coast by mother submarines (“T” or “S” class), then allowed to proceed under their own power to the target. Only two made it to the Tirpitz and released the saddle explosives under her hull putting her out of action for many months. Several were later used individually in D-Day operations and in the Far East. 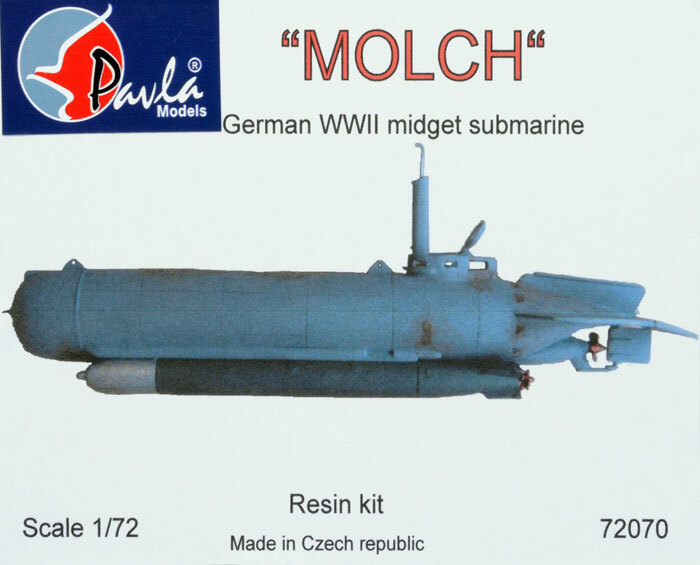 The German “Molch” class midgets were an unsuccessful type designed in 1944 by AG Weser of Bremen. Although used on several occasions, they proved more dangerous to the crews than the enemy, but they led to more advanced designs. 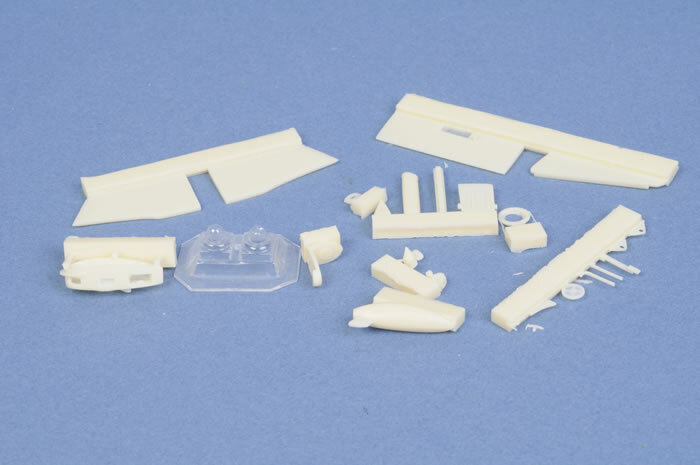 These kits are much like resin aircraft kits in that they have main components plus extra detail parts in resin. 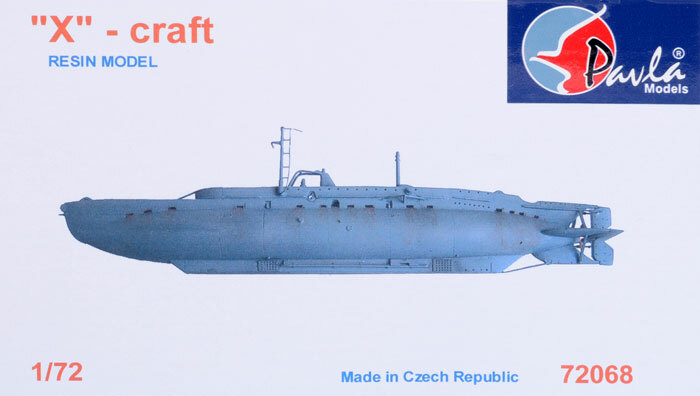 The resin submarines also demand much the same skills and methods of construction as their winged counterparts. The “X” Craft has a three piece hull (“Molch” has two), vertically split pressure hull and casing which includes the bow section. Fins are mounted on the aft-end and include the rudders and diving vanes. From then on, it's just a matter of adding all the little bits and pieces such as prop, rudder control cables, periscope, hatches (which may be posed open), net cutters and lifting eyes. 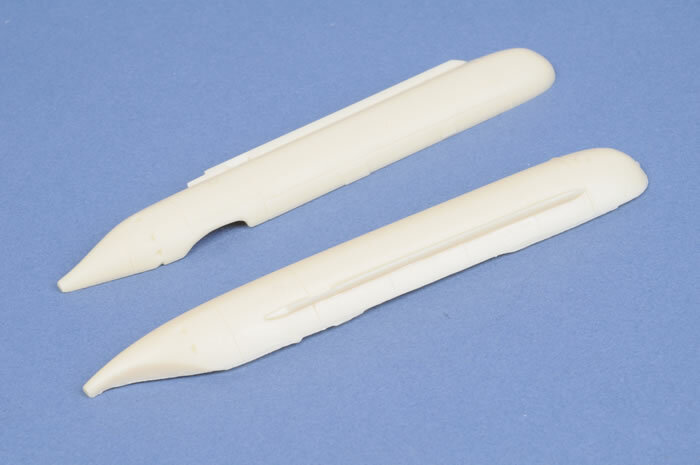 Of course, like resin aircraft models, you can't use plastic glue, the alternative being Super Glue or Epoxy Resin (two-part Epoxy). For the “X” Craft, Pavla have a detail set (Pavla No. U72-91) which includes the two saddle explosive packs. The instructions of both kits give painting details and with a bit of intelligent weathering, rust and underwater growth, could make a very nice model indeed. 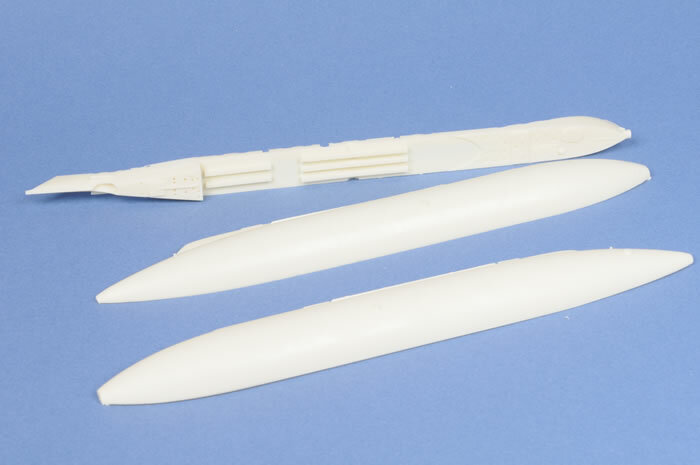 Apart from the interesting size comparisons with the ocean going submarines by Revell and MPM, these could be built as standalone models on a base or used in a diorama to accompany something like a dry dock or slip-way with figures, of which there are plenty about even without modification and other vehicles of the same scale. As with many subjects in modelling, your imagination is the only limiting factor.